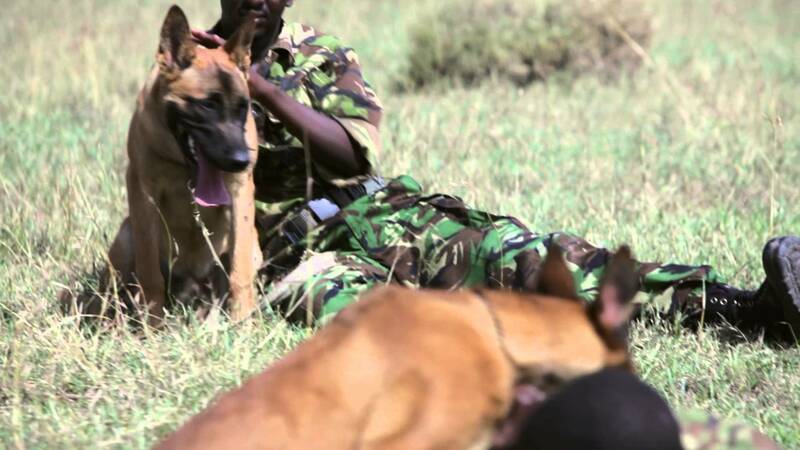 Ol Pejeta rangers with anti poaching dogs. 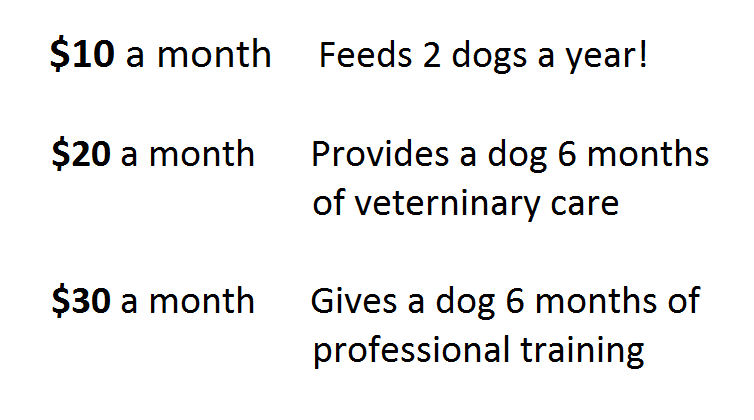 A monthly gift can make all the difference for our canine APUs. 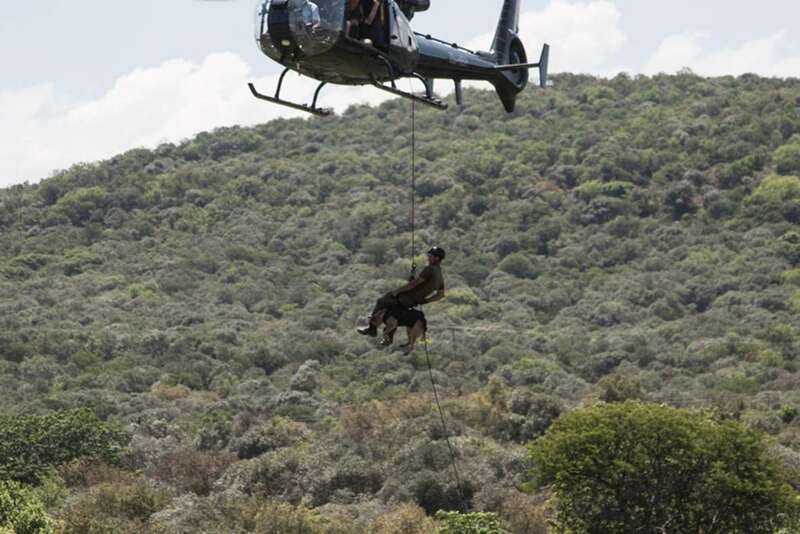 We currently work with Hoedspruit Endangered Species Center and Ol Pejeta APUs. 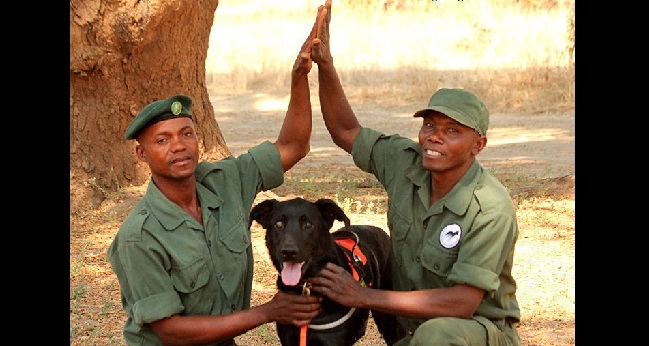 With black and white rhinos, both wild and rehabilitating, canines are a critical part of success at keeping poachers at bay. We are happy to provide end of year statements for your tax deductions. Sitting in a hot car, unmoving; breathing in diesel fumes, waiting for the police to wave your car through….and waiting, and waiting. What should be a simple 10 minute trip across the city turns into an hour plus nightmare. Chicago traffic is a delight in comparison to Nairobi traffic. 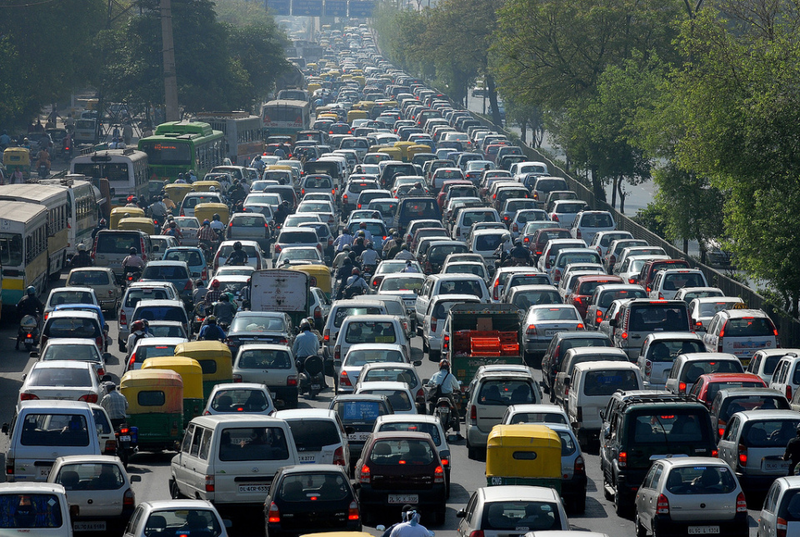 Nairobi is among the worst in the world when it comes to traffic issues. Currently traffic comes through the heart of the city; from locals to freight vehicles coming from the port of Mombasa traveling into Kenya, as well as into neighboring Uganda and South Sudan. 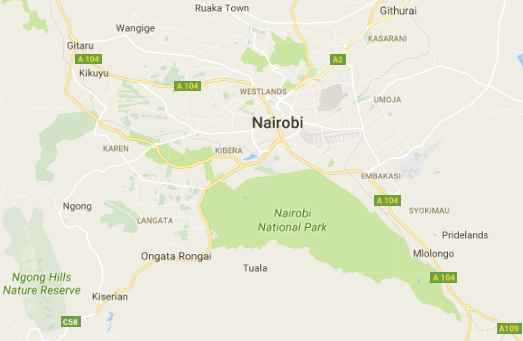 It’s easy to see Nairobi desperately needs updated infrastructure and change. In fact, in 2014, Nairobi Governor Evans Kidero said that the city’s traffic costs the country an estimated $570,000 a day in lost productivity. But what does this mean to wildlife? 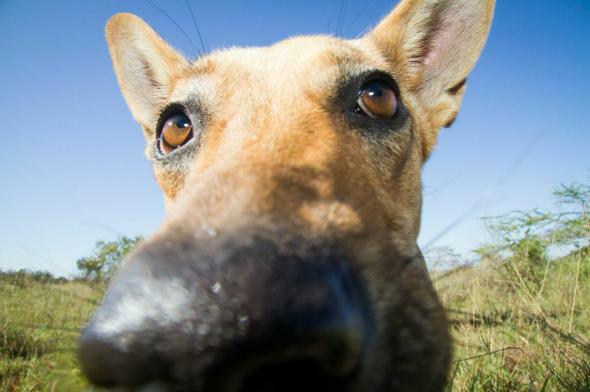 In particular the Nairobi National Park, situated just 4 miles (7 km) outside of the country’s capital, an electric fence is the only boundary separating city from wildlife. The country’s first wildlife park was established in 1946 when traffic was non-existent, the city population only at approximately 170,000. Today’s population is almost 4 million. The country’s largest, most rapidly expanding city needs room to grow, but must simultaneously preserve the delicate balance of its wildlife. The park is currently partially surrounded by roads and fences, but has an open area to the south allowing for wildlife corridors. The proposed plans for the railway inside the Park. The preferred government route is the light blue line, virtually splitting the park in half. The fear is eventually the park will become broken up, and/or surrounded by infrastructure and human encroachment, essentially turning the park into more of a zoo. 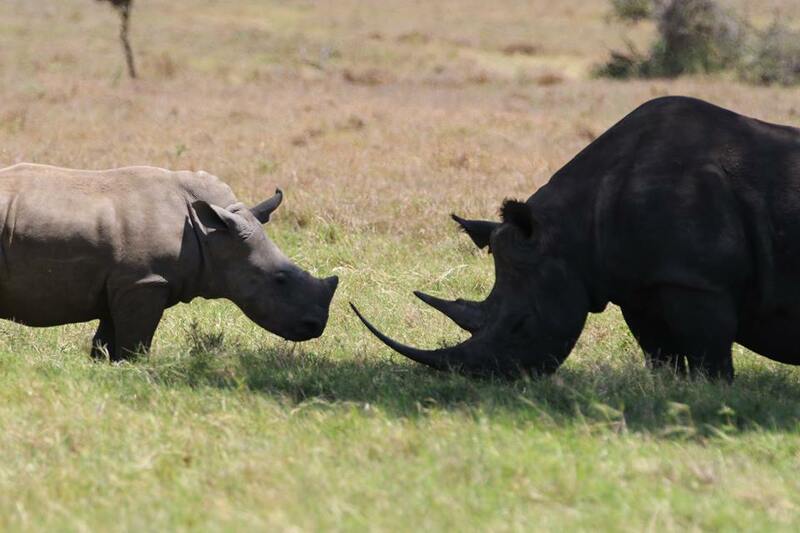 Directing necessary developments around the park, and preserving wildlife corridors is vital to the future of Kenya’s rhinos, elephants, lions and others. 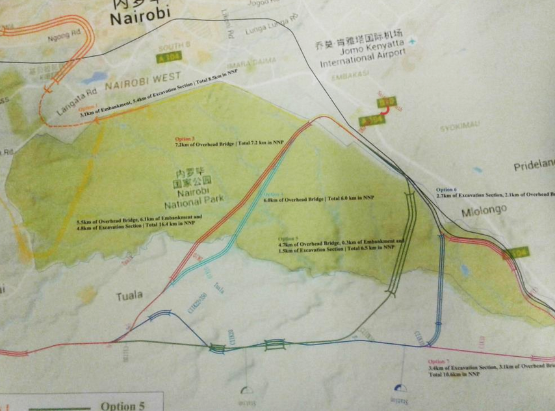 Please take a moment to encourage Kenya’s President Uhuru Kenyatta to preserve the integrity of the Nairobi National Park. VOTE now! Governments need to do a better job securing seized weapons. 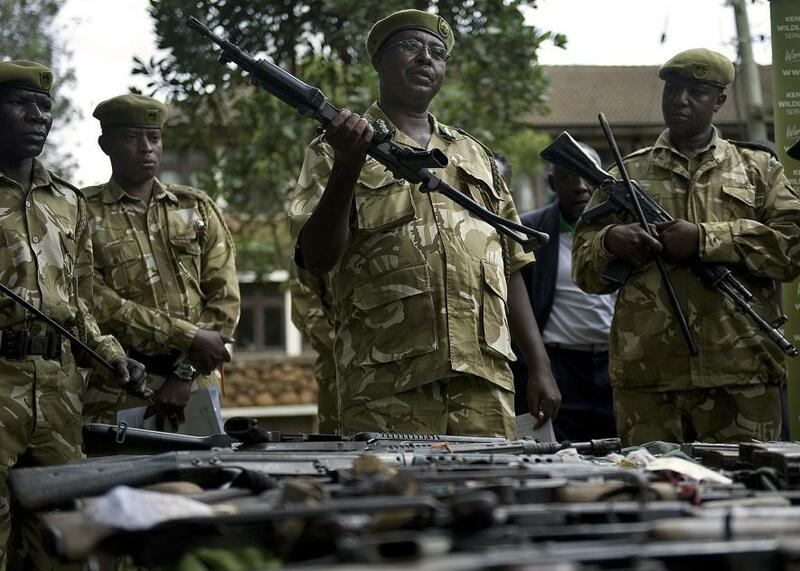 There have been at least a couple of cases where guns seized by police in Mozambique later showed up at poaching sites. That means either the police did a pretty bad job of storing the weapons in the first place, or they actually helped leak the weapons to the poachers. It’s just too easy to get a gun in Africa. 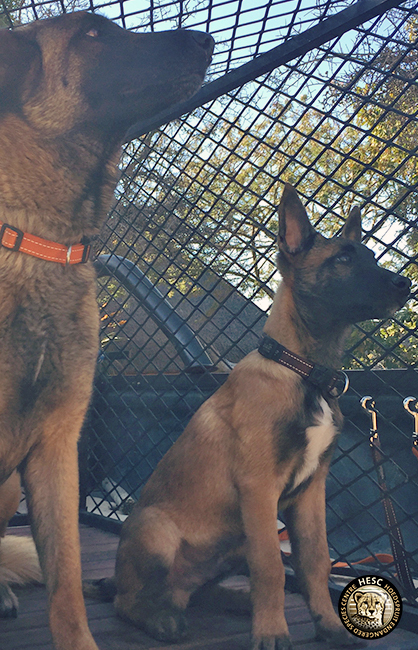 Aside from leaky stockpiles of seized weapons, there are plenty of other ways for poachers to get guns. Wealthy Sudanese businessmen have been known to provide guns, night vision goggles, and other equipment to poaching teams, the survey researchers were told. Sometimes it’s the military itself using state-issued guns to do the illegal killing. And there are plenty of people willing to trade guns for ivory. A 2015 National Geographic investigation found support for the claim that Sudan’s military trades guns to the brutal Lord’s Resistance Army in exchange for ivory, and other armed groups in Central Africa are also suspected to be trading ivory for guns. Military-style rifles are cheaper. Large-scale poachers tend to prefer hunting rifles—with their long range and ability to take down an elephant or rhino with a single shot—the report says. But assault rifles and light machine guns are really growing in popularity, especially among the highly organized poaching groups. Military-style weapons in the vein of Kalashnikovs are cheaper (so is their ammo) and easier to come by than hunting rifles. Guns have been documented coming from Libya, Angola, Burundi, Mozambique, Sudan, and South Sudan. 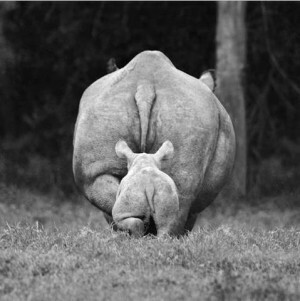 The baby southern white rhino was abandoned by mom and found by the Ol Pejeta team when he was only 2 weeks old. Very sick and barely alive, he has made an amazing recovery with the help of caretakers. 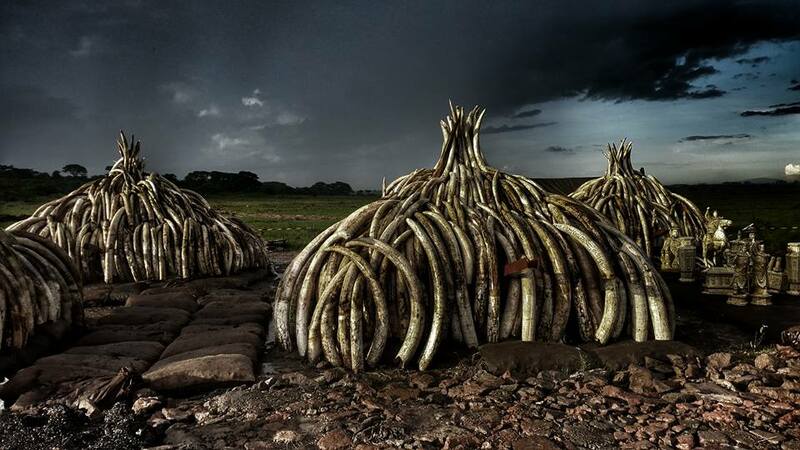 I spoke to Chinese visitors who were astounded to see these mountains of ivory. After explaining where the tusks come from and the burn they agreed to pose with a tusk. It’s raw form is not beautiful or shiny; it is smelly, dirty and has hack marks on it. I explained why. At first she had no words. she just stared at the stacks. Then she called her friend and said, “I will tell Chinese people not to buy ivory”. This was the experience of Paula Kahumbu, conservationist and CEO of Wildlife Direct, discussing Kenya’s upcoming ivory burn. More than a “display”, the burn will transpire after a much larger event, the Giant’s Club Summit. African leaders, corporate leaders, members of the UN, USFWS (US Fish and Wildlife Service), and conservationists are among some of the approximate 200 invitees. 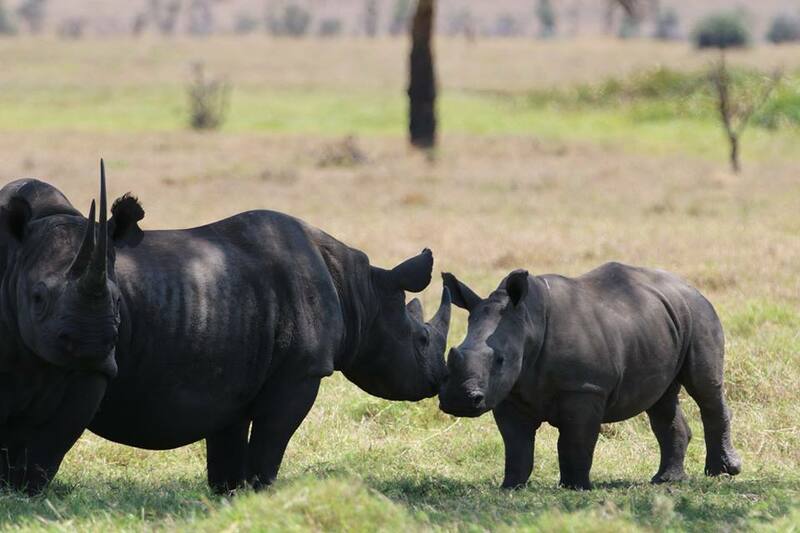 This event demonstrates not only the commitment of the Kenyan government to protecting its wildlife, but also gives hope and encouragement to neighboring countries, and the world. Kahumbu believes Kenya has “turned the corner” in its ongoing struggle with poaching. Elephant poaching has decreased by a whopping 80%, and rhino poaching by 90% in the country. Although the battle is far from over, conservationists are finally beginning to even the playing field. Successes in the Poaching War? 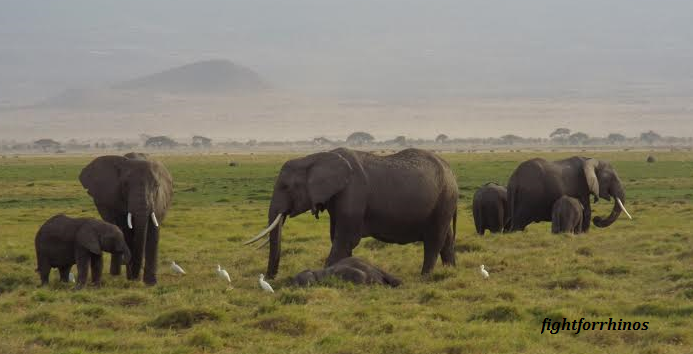 Kenya has been successfully slowing the rate of poaching over the last 2 years. Government is motivated and serious; in 2013 enacting the Wildlife Conservation and Management Act, helping to strengthen the judicial system. Although there is still work to be done, the overall numbers are promising. Elephant poaching is down 80%, and rhino poaching down 90%. South Africa’s poaching rate has seen a slight decrease in reported numbers for the first time since 2008; yet remains dangerously high. 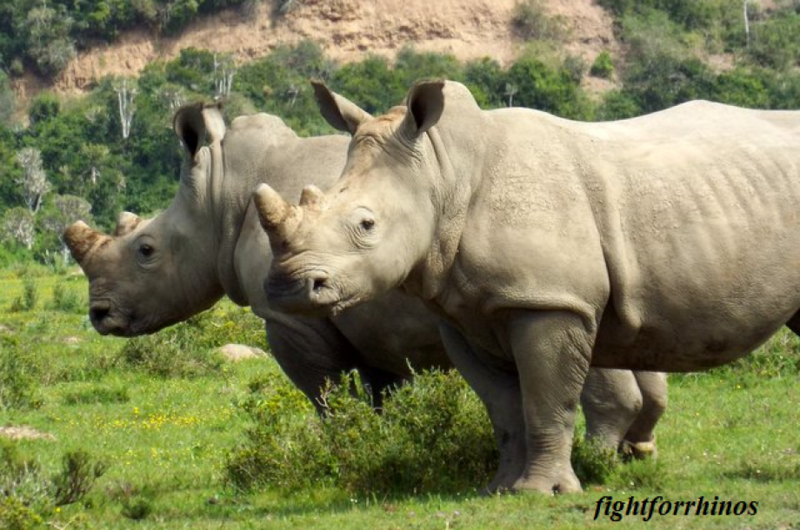 Home to 80% of the world’s remaining rhinos, Kruger National Park sees the most poachings. Yet incidents outside the Park are on the rise, with poachers attacking smaller, more vulnerable private owners. 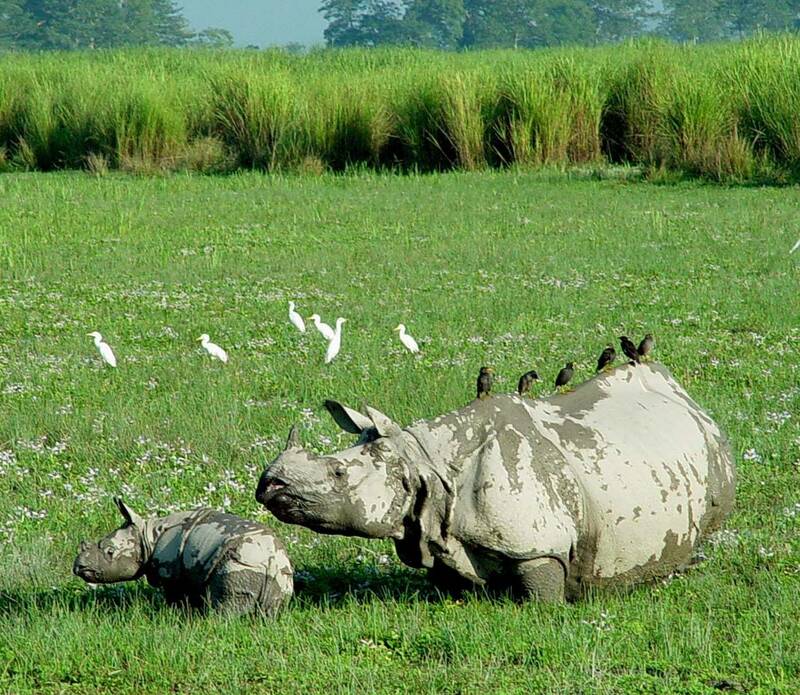 In 2015, there were 17 reported poaching in Kaziranga National Park; the largest of four wildlife parks and sanctuaries in Assam, India; home to 90% of the remaining Greater one-horned rhinos. Poaching seems to fluctuate here. One of the main triggers of higher poaching directly correlates with encroachers around the Kaziranga National Park. The more widespread the number, the higher the poachings. The red is poaching deaths, the green is natural mortality. With 10 national parks, 3 wildlife reserves and 6 conservation areas, Nepal is setting the standard for conservation efforts worldwide. The government is committed to conserving it’s wildlife. With emphasis on community involvement, Nepal has entrusted about one third of it’s forests to the people. With local “policing” of the land and animals, not only has poaching stopped, there has been a reduction of poverty as well. 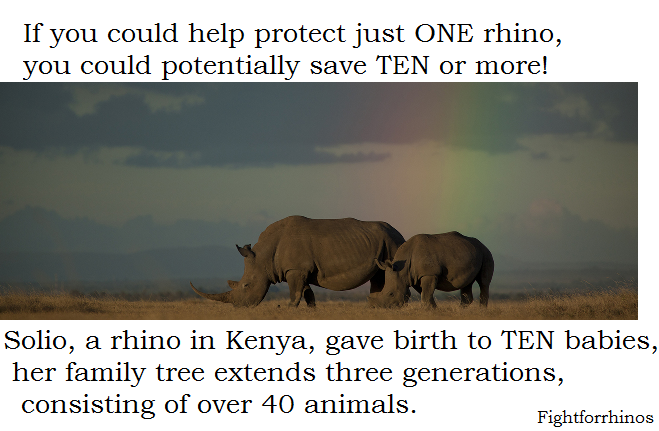 The absence of poaching has led to a 21% increase in the species of the greater one-horned rhinos. 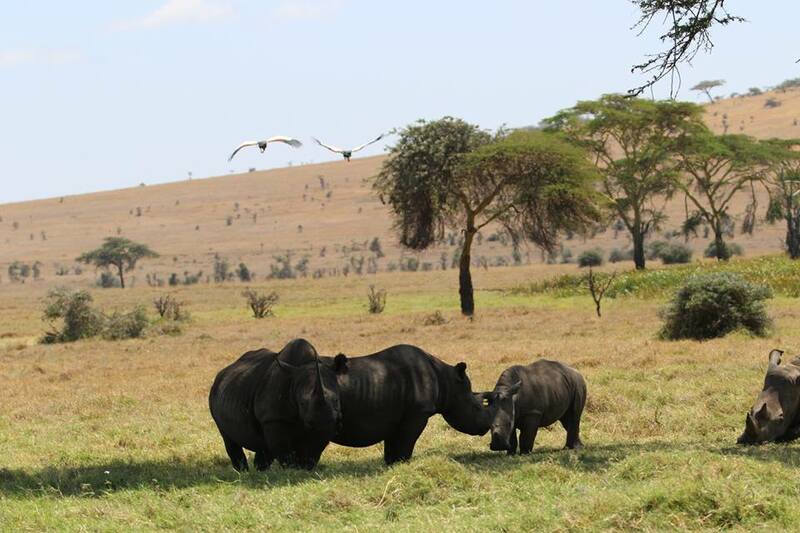 Lewa Wildlife Conservancy, Kenya: Guests were in for a rare treat on safari. 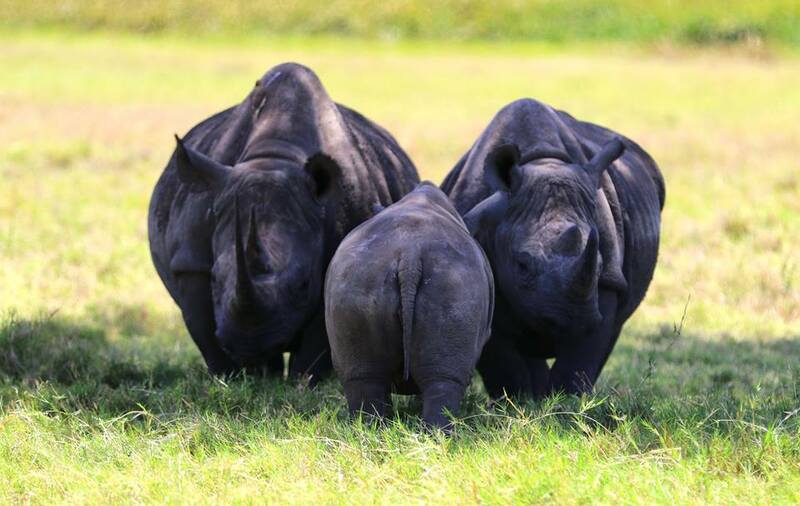 They happened upon this group of rhinos. The unusual part? 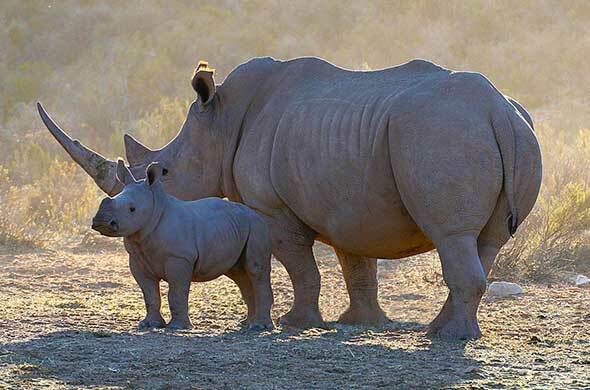 It was a black rhino mom and calf meeting up peacefully with a white rhino mom and calf.